I was so excited to do a review on this product. In fact the day I got an e-mail from Gaia Organics I immediately replied them letting them knew I was interested. The reason of my excitement is because of the product itself. My family has been using pure, organic and natural skin and beauty products for years. We have sensitive skins let alone my 18 month old baby. Babies generally have sensitive skin so I only use natural and organic shampoo and body wash for him. This is the first shampoo and body wash he tried that is intended and suitable for babies. I was using another organic body wash for him before but it was for adults but safe for babies too. 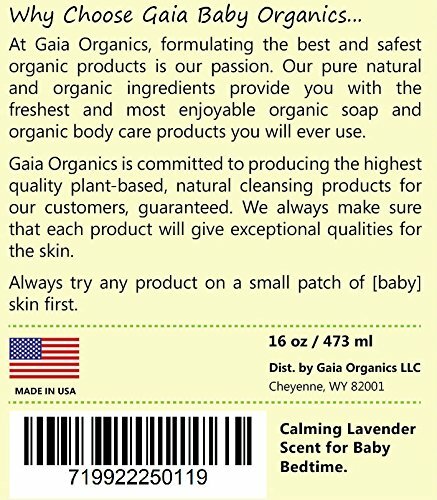 What I think of Gaia Organic Baby Shampoo and Body Wash? Like I said above this is the first all natural and organic baby shampoo that my 18 month old baby tried. I love the mild scent of lavender, it gives a relaxing effect on my baby. This bottle will last longer because you only need a pea size to work on your baby's hair and another pea size for the body. It makes a lot of lather and doesn't sting my baby's eyes. I purposely put some lather on my baby's eyes, he never screamed. I also notice that my baby sleep better after bath since I use this shampoo. 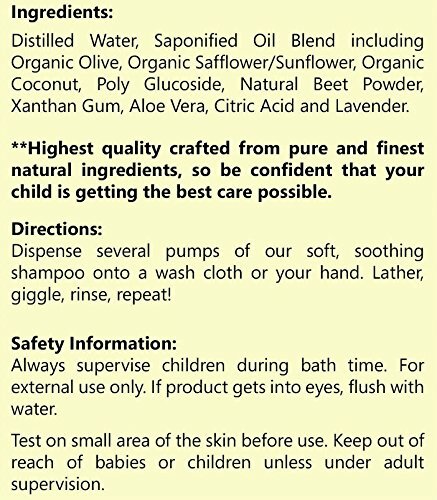 It's paraben free and phthalates free,making it gentle and safe for baby to use. My baby never got rashes and his skin looks nice and soft. I definitely recommend it, we will purchase again when our bottle ran out. Also, this product is made from USA. I love to support our own. Parents with babies, Aunts and Uncles, and friends. I think this is a great gift for baby shower. If you want to know more about this product, simply visit their website by clicking the links at http://gaiaonlineorganics.com/ or visit Amazon to place an order. Disclosure: I received a free bottle of Gaia Organics Baby Shampoo and Body Wash for product evaluation and review. However, all opinions expressed were mine and not influenced in any way. That does sound like a great product! 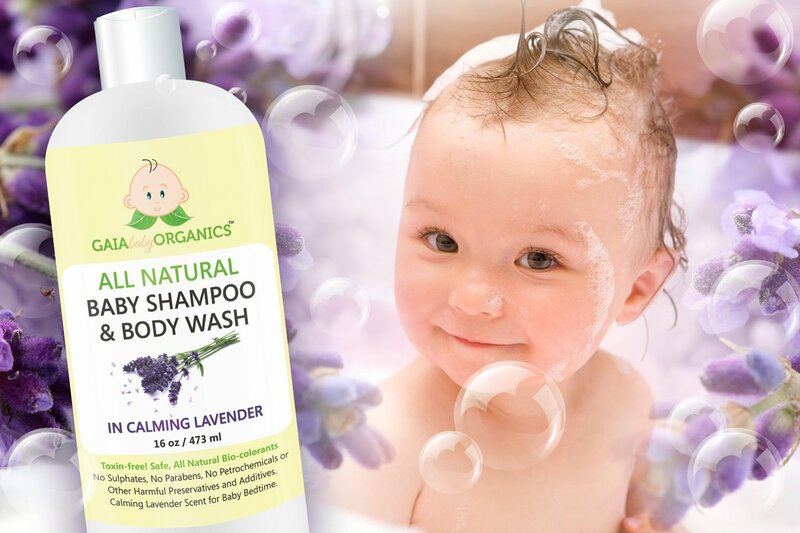 I have heard so much about kids with sensitive skin having issues with shampoo and body wash- it must be a relief for you to find a product that works! I've heard about this brand before and it was all good things too. I always use organic and baby only products on my toddler, the scents in them help him drift off to sleep after his bath too. I'll have to look into this more. I love all natural shampoos especially with it comes to baby/kids. This looks really great. I'd love to try it !! This sounds like an amazing product indeed. I so love his faces. He is adorable. Thanks for sharing and I will have to share this with my sister. Started a "green" movement in my household so I will definitely have to recommend this to my cousin! The lavender scent also convinced me! I love organics, especially for babies. Their little bodies are so sensitive. It doesn't make sense to cover them with chemicals. What a cutie! I preferred to use organic shampoo on my son was a baby, but the stores didn't always carry it. This looks like a great product! I love organic products - they always seem to go further, especially shampoo! Glad you liked this one! That sounds nice! I love your little ones face at the end. Cute! Wonderful review! I love organic, natural products because of my family's sensitive skin! I will definitely be looking in to this! His little face is too cute. This is the first time I've heard of Gaia organics but it sounds like a great brand. I've been trying to go more organic and all natural too. :) i feel like i've actually heard of gaia. do they only make baby products right now? Products for babies should be safe and contain mild ingredients. It's great that Gaia Baby Shampoo and Body wash is all that. Testing it by latering some on the baby's eyes sounded scary but it's good to hear that nothing bad happened. Your little one is too cute! I think it's so important to use natural products for children, especially at a young age! Baby products are really essential and it provides good fruitful result for our babies; we used to go for several kinds of baby products through which we are able to take very good care of our babies. Here also we have found that baby shampoo is quite beneficial to provide good hair care and with chemical free which helps to protect our baby's hair.